Special Note: About half of those Acadians who went to Louisiana, beginning in 1764, came by ship from Nova Scotia and Maryland. As far as we know, NONE walked overland. The other half (around 1,500 individuals) arrived in 1785 from France on SEVEN ships, not all debarking exclusively from Nantes. Four of the ships also picked up passengers in Paimboeuf; one ship left from Saint-Malo, then Paimboeuf. The following is _THAT_ list of passengers. Children: Joseph 15 years, Simon 13 years, Blanche 19 years, Marie 17 years. Children: Jean, sailor - 24 years, Charles, sailor - 22 years, Jacques, sailor - 20 years, Servant, sailor - 15 years, Olivier - 11 years, André 7 years, Isabelle 24 years, Marie Magdeleine 17 years. Children: Jean Laurent, carpenter - 19 years, Joseph 14 years, Pierre 5 years, Marie Josèphe 7 years, Anne Françoise 3 years, Magdeleine Apolline, (breast feeding). Children: Firmin, sailor - 22 years, Sébastien, sailor - 18 years, Louis 14 years, Jean 11 years, Charles 8 years, François 6 years, Marguerite 18 years. Children: André - 9 years, Marie - 24 years, Geneviève - 17 years, Isabelle - 14 years. His Mother-in-Law: (Widow) Esther COURTENAY - 60 years. 6 - Jean Charles LEBLANC , sailor - 23 years, Brigitte HEBERT, his wife - 19 years. Children: Joseph , sailor - 20 years, Jacques 13 years, Anne 15 years. 8 - Jean LEBLANC, boat caulker - 36 years, Thérèse HEBERT, his wife - 35 years. 9 - Alexandre DOIRON, labourer - 47 years, Ursule HEBERT, his wife - 43 ans. Children: Isaac 16 years, Mathurin 12 years, Joseph 7 years, Jean-Baptiste 2 years, Marie-Rose 21 years, Magdeleine 19 years. 10 - François HEBERT, carpenter - 72 ans. 11 - Anne BOUDROT, Jacques HACHE's widow - 40 years. Her 'Hache' Daughters: Marie 15 years, Marguerite 11 years. 12 - Cécile BOURG, Ignace HEUZE's widow - 48 years. Children: Pierre, labourer - 24 ans, Charles, labourer - 22 years, Jean-Baptiste, labourer - 17 years, Grégoire, 9 years, Anne-Marie 20 years. 13 - Pierre QUINTIN, carpenter - 65 years, Marie-Magdeleine DUGAST, his wife, 50 years. Daughter: Victoire Françoise, 14 years. Daughters with first spouse (Marie-Louise Grossin): Anne, 24 years, Marie, 23 years. 14 - Paul Dominique BOUDROT, sailor - 24 years, Marie Olivie LANDRY, his wife - 18 years. Child: Paul Marin - (breast feeding). 15 - Jean-Baptiste DUGAST, labourer - 49 years, Marie CLOSSINET, his wife - 43 tears. Children: Marie 11 years, Marie HACHE , adopted orphan, 18 years. 16 - Jean-Baptiste DUGAST, carpenter - 66 years. Anne BOURG , his wife - 64 years. Grand-daughter: Marie BOUDROT 5 years. 17 - Joseph AUCOIN, sailor - 36 years. Elizabeth HENRY, his wife - 35 years. Children: Joseph Jean 8 years, François Toussaint 6 years, Isabelle Jeanne 11years, Marie-Modeste 4 years, Victoire Claire 2 years. 18 - Eustache LEJEUNE, carpenter - 52 ans. Jeanne GICQUEL, his wife - 42 ans. Children with Marie Carret (First wife) - Servant 15 years , François 13 years, Marie-Madeleine 23 years. Their niece: Pélagie GAUTROT 15 years. 19 - Jean Baptiste LEJEUNE, sailor - 25 years. Geneviève DOIRON , his wife- 19 years. 20 - Grégoire LEJEUNE, sailor - 45 years. Hélène DUMONT, his wife- 36 years. Children: Grégoire 4 years, Julien 2 years, Marie 14 years. Their niece: Marie Geneviève GAUTROT 19 years. 21 - Anselme LANDRY, sailor - 50 years. Agathe BARRILLOT, his wife 50 years. 22 - Jean Baptiste BOUDROT, sailor - 29 years. Marie Modeste TRAHAN, his wife - 36 ans. Children: Jean Constant 6 years, Marie Félicité 8 years, Marguerite 2 years. 23 - Angélique PINET, widow of Michel LEGER - 44 years. LEGER children: Louis 19 years, Jean 15 years, sailor. 24 - Charles BROUSSARD, carpenter - 42 years, Euphrosyne BARRILLOT, his wife 37 years. Children: Jean Charles 20 years, François, sailor - 18 ans, Pierre 14 years, Dominique 12 years. Step child: Paul BOUDROT, 13 years. 25 - Jean TRAHAN, sailor - 35 years. 26 - Daniel BENOIT, labourer - 36 years, Henriette LEGENDRE, his wife - 32 years. 27 - Pierre LEBLANC, carpenter - 40 ans, Anne Josèphe LEBERT, his wife - 38 years. Children: Joseph 17 years, Pierre 15 years, Jean 13 years, Victor 10 years. 28 - Jean Baptiste GUEDRY, carpenter - 36 years, Marguerite LEBERT, his wife 33 years. Children: Pierre 8 years, François 4 years, Marguerite 14 years. Marguerite Félicité (breast feeding). 29 - Louis STIVRIN, sailor - 36 years. Marie BABIN, his wife - 18 years. Children of Louis and Marie Trahan: Louis 3 years and his non-baptized brother. Marie, 2 years. Marie's brother: François BABIN, sailor - 16 years. Her sisters: Marie-Josèphe 16 years, Elisabeth 8 years. 31 - Charles DAIGRE, chicken grower - 54 years, Anne Marie VINCENT, his wife 55 years. 32 - Françoise BOUDROT, Marin DUGAST's widow, 45 years. Her son: Pierre DUGAST 11 years. 33 - Marguerite LABAUVE, François LEGENDRE's widow, 55 years. Her children: Louis 22 years, Yves 17 years - both carpenters. 1 - Olivier THERIOT, shoemaker - 32 years, Marie AUCOIN, his wife - 32 years. Children: Olivier Marie 7 ans, Jean 2 ans. Olivier Sr.'s brother: Jean Charles THERIOT, labourer - 22 years. 2 - Olivier AUCOIN, carpenter - 59 years, Cécile RICHARD, his wife- 43 years. Children: Nathalie 17 years, Marguerite 16 years, Cécile 14 years. 3 - Charles AUCOIN, sailor - 36 years. His sister: Félicité AUCOIN 35 years. 4 - Marie AUCOIN, wife of Michel LEBLANC (absent) 48 years. Children: Marie-Josèphe LEBLANC 25 years, Apolline Eulalie LEBLANC 13 years. 5 - Marguerite NOEL, Guillaume Jean ROQUEMONT's widow - 21 years. Her sister: Marie NOEL 28 years. 6 - Simon MAZEROLLE, shoemaker - 40 years, Marguerite TRAHAN, his wife 38 years. Children: Etienne 8 years, Marie 18 years, Isabelle 16 years, Anne 14 years. 7 - Jacques THERIOT, Indian - 25 years, Françoise GUERIN, his wife 22 years. Child: Françoise Elizabeth (breast feeding). 8 - Dominique GUERIN, labourer - 63 years. Children: Isabelle 22 years, Brigitte 15 years. Child: Françoise - (breast feeding). 10 - Françoise GUILLOT 19 years. 11 - Marguerite HEBERT, Alexandre BOURG' widow - 55 ans. Child: Marguerite BOURG, AUCOIN's widow - 34 years. Grand-child: Firmin AUCOIN 6 years. 12 - Antoine AUCOIN, farmer - 55 years. Children: Pierre 20 years, Louis 15 years. 13 - Laure BOURG, Jean-Baptiste HEBERT's widow - 40 years. HEBERT Children: Jean 15 years, Félicité 13 years, Marie 17 years, Françoise 11 years. 14 - Charles HEBERT, farmer - 62 years. Grand-child: Pierre HENRY (Marie's son) - 14 years. 15 - Claude LEBLANC, farmer - 62 ans, Dorothée RICHARD, his wife - 50 years. His wife's mother: Claire LANDRY 75 years. 16 - Marie-Magdeleine LANDRY, Jean-Baptiste (absent) COMMEAU's wife - 22 years. 17 - Jean AUCOIN, labourer - 73 years, Jeanne THERIOT, his wife 62 years. Child: Anne Félicité 19 years. 18 - Marie-Anastasie AUCOIN, wife of Joseph THERIOT (absent) - 26 years. 19 - Pierre RICHARD, labourer - 48 years, Blanche LEBLANC, his wife - 46 years. Children: Marie 19 years, Pierre 16 years. Cousin: Rose RICHARD 30 years. 20 - Tranquille PITRE, woodsman - 36 years, Elizabeth AUCOIN, his wife 46 years. Child: Jean-Baptiste 3 years, Jean Vincent 1 year. 21 - Jean RICHARD, labourer - 49 years, Marguerite LANDRY, his wife - 48 years. 22 - Marie-Josèphe RICHARD, Hilaire LANDRY's widow - 46 years. Children: Marie-Magdeleine 16 years, Rose 10 years. 23 - Marin GAUTROT, carpenter - 38 years, Gertrude BOURG, his wife - 38 years. Children: Jean 14 years, Marie 9 years. 24 - Jeanne CHELLON, Jean BOURG's widow - 56 years. BOURG children: Jean-Baptiste 16 years, André 14 years, Charles 11 years, Marie 18 years. 25 - Anne HEBERT, BLANCHARD's widow 47 years. BLANCHARD children: Laurent - carpenter - 19 years, Pierre - printer 15 years, Moise - printer 13 years, Elie - printer 11 years, Marie 17 years, Anne - 7 years. 26 - Ursule BRAUD, Jean-Baptiste LEBLANC's widow - 65 ans. Child: Simon LEBLANC, labourer - 23 years. Grand child: Magdeleine LEBLANC 11 years. 27 - Gabriel MOREAU, labourer - 61 years, Marie TRAHAN, his wife - 54 years. Children: Maximin - printer 24 years, Anne 18 years. 28 - Pierre LANDRY, painter - 48 years, Marthe LEBLANC, his wife - 49 years. Children: Joseph, engraver - 19 years, Jean Raphaël - printer 17 years, Marie Marguerite 15 years, Anne Susanne 9 years. 29 - Marie LEPRINCE, Joseph TRAHAN's widow - 43 years. ChildREN: Antoine Joseph TRAHAN, labourer - 19 years, Julie LEPRINCE (Antoine's sister) 22 years. 30 - Pierre BERTRAND, well driller - 54 years, Catherine BOURG, his wife - 36 years. Children: Ambroise Belony, labourer - 18 years, Jean Augustin - labourer 15 years, Louis - 2 years, Catherine 13 years, Marie 11 years, Adélaïde 7 years, Anne Magdeleine (breast feeding). 31 - Anne SAVARY, Pierre POTTIER's widow - 38 years. Children: Olivier 10 years, Jacques Silvain 7 years. 33 - Pierre GAUTROT - labourer 53 years, Marie DUPLESSIS, his wife - 47 years. 34 - Jean-Baptiste BARRILLOT - labourer 50 years, Marie DAIGLE, his wife - 45 years. Children: Jacques - labourer 19 years, Jean, labourer 15 years, François 8 years, Perrine 10 years. Child: Pierre Joseph HEBERT - labourer 17 years. 36 - Honore BRAUD - carpenter 52 years, Elizabeth LEBLANC, his wife - 45 years. Children: Pierre 5 years, Charles 3 years, Olive Elizabeth 16 years, Marie-Magdeleine 14 years, Jeanne 8 years, Rose-Marie 3 years. 37 - Prospère LANDRY, carpenter - 60 years, Elizabeth PITRE, his wife - 55 years. Child: Jean Pierre, carpenter - 22 years, Simon, carpenter - 19 years. 38 - Marie-Josephe LANDRY 32 years. François Julien, (Marie-Josephe's student) 3 years. Sister: Geneviève LANDRY 34 years. 39 - Jean Pierre BOURG, foreman - 42 years. Her sister: Françoise BOURG - 49 years. Her cousin: Isabelle - 33 years. 40 - Olivier LEBLANC, carpentier - 38 years, Marie LEBERT, his wife - 23 years. Children: Pierre (breast feeding0, Marie - 3 years. 41 - Louis LETULLIER, carpenter - 41 years, Elizabeth LEBLANC, his wife- 29 years. Children: Henry Aimable - 1 year, Marie Adélaïde - 4 years. 42 - Etienne LEBLANC, labourer - 36 years. 43 Jean OSELET, wood sawyer - 43 years, Marguerite LANDRY, his wife - 43 years. Children: Jean Charles, printer - 18 years, Mathurin, printer - 13 years, Marie-Charlotte 10 years, Julien 4 years. 44 - Jacques DOIRON, sailor - 40 years, Anne BRAUD, his wife - 38 years. Children: Jean -sailor 17 years, Joseph 14 years, Ursule 13 years. 45 - Isaac HEBERT - printer 32 years, Marie DAIGLE, his wife - 22 years. Children: Remi 3 years, another breast feeding. 46 - Nathalie PITRE, Jean Jacques LEBLANC's widow - 50 years. LEBLANC children: Jean-Baptiste - sailor 17 years, Marie-Geneviève 15 years. 47 - Cécile BOUDROT, Charles RICHARD's widow - 38 years. Child: Marie-Rose RICHARD 14 years. Her brother: Jean BOUDROT - sailor 18 years. 48 - Amand PITRE, labourer - 60 years. 49 - Ambroise DUGAST - sailor 32 years, Marie-Victoire PITRE, his wife - 31 years. Children: Louis Ambroise 5 years, Anne Marie 10 years, Céleste 1 year. 50 - Olivier TRAHAN - sailor 54 years. Children: Grégoire - shoe maker 18 years, Anne 22 years. 51 - Marie BRASSEUR 35 years. Her sister: Ozite 24 years. 52 - Joseph TRAHAN - labourer 59 years, Marie BOUDROT, his wife - 57 years. Children: Anselme - labourer 19 years, Marie 18 years, Marguerite 11 years. 53 - Mathurin TRAHAN - printer 24 years, Marguerite ORY, his wife - 19 years. 54 - Alexis DAIGLE - engraver 22 years. 55 - Charles DUGAST, wood sawyer - 46 years. Children (with Marguerite GRANGER) : Jean Charles sailor - 20 years, Pierre Olivier - sailor 18 years. Joseph - sailor 16 years, Marie-Josephe 22 years. Child (with Marguerite DAIGLE; second marriage): Marguerite 4 years. 56 - Pierre DUGAST - carpenter 57 uears, Marguerite DAIGLE, his wife - 60 years. Children: Anne 23 years, Marie 20 years. 57 - Anne Osite DUGAST, Charles HEBERT's widow 30 years. HEBERT children: Charles 5 years, Anne 4 years, Marguerite 2 years. 58 - Joseph BOURG, wood sawyer - 52 years, Marie-Magdeleine GRANGER, his wife - 54 years. Children: Sébastien Joseph 19 years, Jean-Baptiste 17, Marie-Josèphe 21 years, Elizabeth 14 years. Their nieces: Luce 24 years and Marguerite DAIGLE 17 years. 59 - Pierre BOURG - clerk 24 years, Marguerite DUGAST, his wife - 31 years. 60 - Jean-Baptiste LANDRY - labourer 64 years, Isabelle DUGAST,his wife - 44 years. Children: Jean-Baptiste - cooper 22 years, Isabelle 24 years, Marguerite 19 years, Anne 9 years. 61 - Marie DAIGRE, Jean-Baptiste BOUDROT's widow - 44 years. BOUDROT children: Jean 11 years, Marie-Rose 21 years. 62 - Paul DUGAST - carpenter 75 years. Children: Simon - carpenter 37 years, Anne 19 years. Children: Jean-Baptiste - labourer 15 years, François 11 years, Pierre 7 years, Marie-Paul 20 years, Anne 18 years, Jeanne 13 years. 65 - Magdeleine DUGAST, Jean-Baptiste HEBERT's widow - 43 years. HEBERT children: Pierre - mover 18 years, Joseph - mover 15 years, François 5 years, Etienne (breast feeding), Anne 20 years, Marie 17 years, Isabelle 13 years. 66 - Marguerite SEGOILLOT, 19 years. 67 - Eustache DAIGRE - carpenter 56 years, Magdeleine DUPUIS, his wife - 44 years. Children: Jean 15 years, Charles 13 years, Etienne (breast feeding). 68 - Etienne DUPUY - sailor 36 years, Marie DUGAST, his wife- 20 years. 69 - Fabien AUCOIN - carpenter 38 years, Marguerite DUPUY, his wife - 34 years. 70 - Ambroise PITRE - sailor 35 years, Elizabeth DUGAS, his wife - 32 years. Children: Paul Ambroise 9 years, Marie 6 years, Jean Marie 1 year. 71 - Joseph Benoît GAUTROT - labourer 17years. 72 - Marie-Rose LIVOIS 18 years. 1 - Simon DAIGLE, Anne MICHEL, his wife. Children: Edouard, Simon, Joseph, Marie-Marguerite, Anne Geneviève, Elizabeth, Marie. Children: Victor, François, Simon, Jean-Baptiste, Honoré, Marie, Pélagie, Eulalie. 3 - Charles HENRY, Marie LEBLANC, his wife. Children: Marie-Magdeleine, Rose Anastasie, Ursule. Son from first wife: Charles ROBICHAUX. 4 - Pierre RICHARD, Françoise DAIGLE, his wifr. Children: Anselme, Joseph, Auguste, Marie. 6 - Marie-Josèphe GRANGER's children (from previous marriage). TRAHAN: Jean-Baptiste, Paul Raymond, Marie-Renée, Marie-Marguerite. 7 - Anne GRANGER's children (from previous marriage). TRAHAN: Joseph, François, Marie Anne, Julie. 8 - Joseph GUEDRY, Magdeleine GAUMMEAU, his wife. 9 - Charles COMMEAU, Marguerite Joseph, his wife. 10 - Jean Baptiste HEBERT, Anne Dorothée DOIRON, his wife. Child: Anne Marguerite (breast feeding). 12 - Pierre POTIEU, Agnès BROUZARD, his wife. Children: Charles, Pierre Laurent, François, Constance, Anne. 13 - Anne VENOI - (HEBERT's widow). 14 - Jean Baptiste DOUARON, Marie Blanche RAINARD, his wife. Children: Louis Toussaint, Jean Charles, Marie, Rose, Ursule. 15 - François DAIGLE, Jeanne AULAI, his wife. Children: Louis, Jeanne, Adélaïde, Louise. 16 - François ARBOURG, Marie HENRY, his wife. 17 - Joseph TRAHAN, Marguerite LAVERGNE, his wife. 18 - Pélagie DOIRON, - LA SENDE's widow). LA SENDE children: Jean Edouard , Emilie. 19 - Jean-Baptiste LAGARINE, Anne DOUARON, his wife. 20 - Marguerite DOUARON, (DUGATS' widow). 21 - Pierre HEBERT, Charlotte POITIEU, his wife. Child: Pierre Joseph HEBERT, - (breast feeding). 23 - François Alexandre DAIGLE, Rose Adélaïde BOURG, his wife. Children: Emilie Adélaïde, François Joseph 9breast feeding). 24 - Rose DOUARON (husband absent). 28 - Pierre GUEDRY, Louise BLANDIN, his wife. 29 - Joseph BREAUD, Marie TRAHAM, his wife. 30 - François-Xavier BOUDREAUD, Marguerite DUGAST, his wife. 31 - Jacques MOULAISON, Marie DOUAIRON, his wife. Children: Jacques, Rose , Sophie. 32 - Pierre GUEDRY, Marie Josèphe HEBERT, his wife. Children: Pierre Joseph, Jean Pierre, Joseph Firmin (breast feeding), Marie-Rose. 33 - Paul LEBLANC, Anne BAUDREAUD, his wife. Children: Adélaïde, Rosalie (beast feeding). 34 - Marguerite Ange DUBOIS, Jean DAIGLE's widow (Jean absent: hospitalized). 36 - Jean Baptiste DAIGLE, Marie Claudine VALET, his wife - 31 years. 37 - Alain BOURG, Marie COMMEAU, his wife. 38 - Joseph CAILLOUET, Elizabeth LEBLANC, his wife. 39 - Jean Pierre DUGATS, Juana CABOU, his wife. 41 - Jean Baptiste DOUHONE. 42 - Jean Charles RICHARD. 43 - Jean Marie GRANGER. 44 - Pierre HENRY, Marguerite TRAHAM, his wife. 45 - Marie MARTINA, COURTIN's widow. 46 - Jean GARCIA, Françoise COURTIN his wife. 47 - Magdeleine LEBLANC, TRAHAN's widow. TRAHAN children: Pablo, Simon, Alexis, Marie, Rosalie. 48 - Joseph COSTA, Marguerite TRAHAM his wife. 49 - François Michel BETANCOURT, Victoire LAVERGNE, his wife. 50 - Jean-Baptiste GUEDRY - (transferred from "Bon Papa". Children: Pierre, François, Marguerite Félicité (breast feeding), Marguerite (orphan) 8 years. 1 - Joseph Ignace HEBERT, superintendent - 37 years, Anne DUGAS, his wife 36 years. Children: Pierre 15 years, Olivier 11 years, Ambroise 2 years, Isabelle 9 years. 2 - Pierre DUGAS - carpenter 51 years, Rose LEBLANC, his wife 40 years. Children: Rose 3 years, Anne Perrine (breast feeding). ROBICHAUX children: Joseph 12 years, Jean-Pierre 2 years, Marie 17 years, Anne 15 years. 4 - Jean-Baptiste HEBERT - shoe repairer 35 years, Anne Joseph DUGAS, his wife 36 years. Children: Jean Joseph 14 years, Ambroise Mathurin 12 years, Simon 7 years, Alexis Thomas 2 years. 5 - Alexis DUGAS - carpenter 58 years. 6 - Joseph DUGAS - wood sawyer 43 years, Anastasie BARILLOT, his wife 43 years. Children: François 14 years, Jean-Pierre 10 years, Anastasie 12 years, Anne 6 years, Marguerite 2 years. Joseph's children with widow Anastasie HENRY: Joseph - carpenter 23 years, Marie 21 years, Cécile 19 years, Elisabeth 17 years. 7 - Pierre Olivier PITRE - labourer 46 years, Rosalie HEBERT, his wife 40 years. Children: Marie 18 years, Magdelaine 4 years, Henriette 3 years, Pierre 1 year. 8 - Pierre MICHEL - labourer 46 years. Children: Joseph - sailor 25 years, Gertrude 19 years, Marie 5 years. 9 Pierre GAUTROT - carpenter 25 years, Magdeleine MICHEL, his wife 21 years. 10 - Marguerite HEBERT, Alexandre GAUTROT's widow 59 years. Children: Jean - sailor 21 years, Charles 18 years, Victoire 16 years. 11 - Joseph GAUTROT - labourer 63 years, Anne PITRE, his wife 45 years. Children: Joseph 15 years, Pierre 13 years, Charles 10 years, Jean 8 years, François 8 years. 12 - Théodore BOURG - carpenter 39 years, Anne GRANGER, his wife 54 years. Children: Théodore 14 years, Anne 19 years, Magdeleine 17 years. 13 - Jean Baptiste DAIGLE - sailor 20 years. 14 - Anselme PITRE - labourer 45 years. Children: Jean-Pierre - labourer 21 years, Marie-Françoise 18 years, Marguerite 14 years, Isabelle Olive 12 years. 15 - Anastasie LEVRON, Amand LEJEUNE's widow 45 years. LEJEUNE children: Joseph - sailor 22 years, Alexis 13 years, Marie-Rose 18 years, Marguerite 16 years, Magdeleine 6 years, Rosalie 2 years. (Note: This family's final travel was on l'Amitié - N° 72). 16 - Jean LEJEUNE - sailor 29 years, Félicité BOUDROT, his wife 31 years. 17 - Jean-Baptiste DURAMBOURG - labourer 50 years, Magdeleine HENRY, his wife 45 years. 18 - Jean Charles BOUDROT - fisherman 51 years, Marguerite GUEDRY, his wife 34 years. Children: Pierre David 2 years, Marguerite 3 years, an infant breast feeding. Daughter of Jean Charles et Agnes TRAHAN, his first wife: Henriette 13 years. 19 - Félix BOUDROT - carpenter 54 years, Magdeleine HEBERT, his wife 56 years. 20 - Augustin TRAHAN - carpenter 50 years, Viviane LEBLANC, his wife 40 years. 21 - Jérôme GUERIN - labourer 32 years, Marie PITRE, his wife 36 years. 22 - Joseph ROBICHAUX - labourer 56 years. Children: Jean-Baptiste - home servant 21 years, François-Xavier 16 years, Marie 14 years, Renée 9 years. 23 - Marie HEBERT, Joseph MOYSE's widow 43 years. MOYSE children: Joseph 12 years, Marie 6 years. 24 - Ambroise NAQUIN - labourer 60 years, Elizabeth BOURG, his wife 58 years. Children: Joseph - carpenter 19 years, Pierre - carpenter 19 years. 25 - Pierre BOURG - labourer 56 years, Marie NAQUIN, his wife 46 years. Children: Pierre 18 years, Jeanne 20 years, Victoire 11 years. 26 - Charles Olivier GUILLOT - carpenter 38 years, Magdeleine BOUDROT, his wife 40 years. Children: Jean Michel 14 years, Simon François 12 years, Isabelle 10 years. 27 - Michel AUCOIN, carpenter - 30 years, Marie-Rosalie de la FORESTRIE 29 years. Children: Marie-Françoise 5 years, Rose Adélaïde (breast feeding). 28 - Joseph HEBERT - sailor 32 years, Jeanne de la FORESTRIE, his wife 30 years. Children: Joseph 11 years, Charles 10 years, Louis Jean 5 years, Marie 8 years, Anne-Marguerite (breast feeding). 29 - Jean GARNIER - carpenter 34 years, Ozite Perpetue THERIOT, his wife 20 years. Children: Jeanne-Marie 1 year, Marie-Françoise (breast feeding). 30 - Charles NAQUIN - labourer 48 years. Children: Jean 14 years, Paul 3 years, Anne 18 years, Irene 16 years, Ludovinne 10 years, Renne 8 years. 31 - Charles DUGAS - labourer 60 years, Anne NAQUIN, his wife 50 years. Anne NAQUIN'S daughter: Rose GAUTROT 20 years, Rose GAUTROT's daughter,Anne LEBERT 9 years. 32 - Jean Grégoire BLANCHARD - fisherman 37 years, Marie-Magdeleine LIVOIR, his wife 31 years. Children: Jean-Baptiste 8 years, Marie 9 years, Pierre Charles (breast feeding). 33 - Hilaire CLEMENT - carpenter 39 years. Children: Jean 8 years, Marie 10 years. 34 - Joachim TRAHAN - labourer 50 years. Children: Augustin 18 years, Jean-Marie 10 years, Anne 21 years, Félicité 14 years, Catherine 12 years, Marie-Vincente 1 year. 35 - Pierre TRAHAN - labourer 48 years, Marguerite DUON, his wife 44 years. Children: Joseph 8 years, Geneviève 23 years, Pauline 18 years, Marguerite 16 years, Anne 12 years, Marie-Françoise 10 years. 36 - Blaise THIBODEAUX - carpenter 62 years, Catherine DAIGLE, his wife 60 years. Children: François - labourer 18 years, Joseph - labourer 17 years, Isabelle 10 years. Nephew Joseph Nicolas HEBERT - carpenter 31 years. 37 - Firmin THIBODEAUX -sailor 25 years, Marie-Magdeleine THERIOT, his wife 20 years. Child: Firmin Blaise 2 years. 38 - Antoine BOUTARY - carpenter 48 years, Marie SAULNIER, his wife 37 years. Children: Auguste 9 years, Antoine 7 years, Guillaume (breast feeding). 39 - Guillaume HAMONT - carpenter 24 years, Marguerite SAULNIER, his wife 27 years. 40 - Etienne DAROIS, hide tanner 47 years, Magdeleine TRAHAN, his wife 45 years. Children: Elizabeth 24 years, Marie 18 years, Susanne 16 years, Elizabeth 8 years. 41 - Pierre THERIOT- fisherman 42 years. Child: Pierre THERIOT 15 years. 42 - Jean TRAHAN - labourer 49 years, Magdeleine HEBERT, his wife 47 years. Children: Michel - sailor 21 years, Pierre - carpenter 18 years, Marie-Louise 16 years, Félicité 14 years. 43 - Pierre LABAUVE - carpenter 36 years, Anne BONFILS, his wife 32 years. Anne's child: Jean DUGAS 13 years. 44 - Jean-Baptiste BOUDROT, piercer 25 years, Marguerite BEDIN 23 years. Children: Jean-Baptiste 2 years, Jean-Charles (breast feeding). 45 Honore COMEAUX - carpenter 67 years, Anastasie BELLEMERE, his wife 45 years. Anastasie's children: Joseph BOUDROT - sailor 17 years, Charles BOUDROT - sailor 14 years. 46 - Joseph HEBERT - carpentier 51 years, Marie BENOIT, his wife 48 years. Children of Joseph et Marie RICHARD: Joseph - tanner 24 years, Marie 22 years. Niece: Sophie BENOIT 8 years. 47 - Honore CARRET - labourer 50 years, Françoise BENOIT, his wife 40 years. Child: Pierre - labourer 24 years. Charles BENOIT's widow - Madeleine THERIOT 70 years. 48 - Pierre TRAHAN - labourer 66 years, Marie CLEMENCEAU, his wife 32 years. Child: Louise Renne 2 years. 49 - Jean-Baptiste DAIGLE - fisherman 48 years, Marie BOUDROT, his wife 50 years. Children: Joseph 11 years, Anne 15 years. 50 - Athanase BOURG - sailor 45 years, Luce BRAUD, his wife 33 years. 51 - Mathurin COMEAUX - sailor 25 years. 52 - Marie TRAHAN 20 years. 53 - Charles LEBLANC - labourer 52 years, Rosalie TRAHAN, his wife 40 years. Children: Pierre Honore - carpenter 19 years, André - labourer 18 years, Jean-Baptiste (breast feeding), Marie-Rose 21 years, Marie-Françoise 16 years, Barbe 12 years. Wife's sons: Nicolas METRA 3 years and Joseph (breast feeding). 55 - Jean THIBODEAUX - sailor 37 years, Marie DUGAS, his wife 18 years. Children: Jacques - calfat 18 years, Marie 14 years. Jacques BOURBON's widow Elizabeth THIBODEAUX 40 years. 56 - Ignace CARRET - labourer 36 years, Magdeleine CLEMENCEAU, his wife 34 years. Children: Eustache (breast feeding), Jean 14 years, Marie 7 years. Children: Marie 11 years, Guillaume 9 years, Victoire 1 year, Françoise (breast feeding). 1 - Michel LEVRON - carpenter 55 years, Marguerite TRAHAN, his wife 50 years. Children: Joseph Marie - carpenter 17 years, Marie 22 years. * 2 - Eustache TRAHAN - carpenter 40 years, Marie LEBLANC, his wife 58 years. 3 - Marin TRAHAN - carpenter 40 years, Marguerite INO, his wife 20 years. Marin and Marie-Madeleine Leblanc's (his first wife) children: Jean-Baptiste - carpenter 21 years, Jean- Marie 8 years, François 7 years, Magdeleine 23 years, Marguerite 15 years, Barbe 11 years. 4 - Charles GAUTROT - carpenter 44 years, Pélagie TRAHAN, his wife 39 years. Children: Charles, chicken farmer 19 years, Jean-Marie 7 years, Pierre 4 years, Jean-Baptiste 9breast feeding), Magdeleine 18 years, Aspasie 2 years. 5 - Joseph RICHARD, cooper 32 years. 6 - Paul TRAHAN - carpenter 42 years, Marie-Josèphe TRAHAN, his wife 44 years. Children: Paul 16 years, Pierre 5 years. 7 - Tranquille LEPRINCE - carpenter 63 years, Suzanne BOURG, his wife 57 years. 8 - Charles RICHARD, tailor 31 years, Marie-Josèphe TRAHAN, his wife 19 years. 9 - Pierre TRAHAN - carpenter 28 years. 10 - Jean-Baptiste TRAHAN - carpenter 34 years. 11 - Thomas LEBLANC - tailor 39 years. 12 - Joseph LEBLANC - employed worker 37 years. 13 - Marguerite TRAHAN, Joseph TRAHAN's widow 49 years. Child: Augustine Pélagie 12 years (born August 28, 1772 at Morlaix, France). 14 - Marie RICHARD 44 years. His sisters: Marguerite 42 years, Elizabeth 33 years. 15 - Alexis LEVRON - carpenter 24 years, Anne TRAHAN, his wife 24 years. 16 - Lambert BILLARDIN - employed worker 40 years, Marguerite DAIGRE, his wife 37 years. Children: Marie-Jeanne 6 years, Marguerite 3 years, Etienne 10 years. * Eustache TRAHAN, 43 years. Resident of Morlaix, France who was passenger on the Brick La Laitière left Morlaix on May 26, 1786. He debarked at Jérémie in July... did he miss the departure of the St Rémy? 1 - Marie RICHARD, Claude PITRE's widow 42 years. Child: Marie PITRE 16 years. 2 - Joseph AUCOIN 64 years, Anne HEBERT, his wife 48 years. Children: François 15 years, Anne 21 years, Gabriel 13 years, Marie-Magdeleine 11 years, Françoise 8 years, Jacinthe (son, born april 6, 1785). 3 - Pierre HEBERT 50 years, Suzanne PITRE, his wife 55 years. Children: Pierre 22 years, François 18 years, Joseph 15 years, Mathurin 13 years, Jean-Baptiste 11 years, Marie 24 years. Daughter of Suzanne PITRE et Jean-Baptiste Olivier HENRY (first husband): Marguerite HENRY 35 years. 4 - Joseph AUCOIN 41 years. Children: Alexis 20 years, Fabien 15 years, Mathurin 14 years, Joseph 10 years, Marie-Ozitte BRAUD 40 years, (daughter of Chérubin BRAUD and Martine AUCOIN). 5 - Luce Perpétue BOURG, Pierre HEBERT's widow 43 years. Children: Victoire 18 years, Anne 11 years, Julienne 4 years. 6 - Jean BOURG. 50 years, Anne DAIGLE, his wife 40 years. Children: Marie 17 years, François 16 years, Marguerite 15 years, Magdeleine 12 years, Jeanne 7 years, Jean 6 years, Joseph 3 years, Charlotte Françoise (born May 26, 1785). 7 - Jean BOURG 40 years, Marie DUPUIS, his wife 36 years. Children: Yves 6 years, Marguerite 16 years, Isabelle 12years, Marie 8 years, Jean-Baptiste Simon Louis 9 months. COMEAUX children: Elie 19 years, Joseph 17 years, Simon 15 years, Jeanne 11 years, Marie 6 years. 9 - Louis CLOSSINET 54 years, Marie-Marguerite DAIGLE, his wife 37 years. Marie Marguerite's daughter (from previous marraiage): Geneviève GIROIR 16 years. 10 - Jean LONGUESPEE 45 years, Marie-Françoise BOURG, his wife 40 years. Children: Marie 20 years, Anne 18 years, Marguerite 15 years, Jean-Jacques 14 years, Pierre 12 years, Corentine 10 years, Louis 6 years, Jean-Baptiste 4 years, Hélène 8 months. 11 - Alexandre AUCOIN 45 years, Rosalie THERIOT, his wife 45 years. Children: Mathurin 4 years, Marie 20 years (absent), Marie-Jeanne 8 years, Marguerite (who died May 7, 1785 at St Servan at age 18 months). 12 - Victor FOREST 50 years, Marie-Jeanne RICHER, his wife 46 years, (4th wife). Victor et Julienne Rosereux' children (3rd spouse): Jean 11 years, Etienne 7 years, Servanne Julienne 17 years, Marie-Adélaïde 15 years, Jeanne Isabelle 12 years. 13 - Jacques FOREST, (#12 Victor's father) 75 years, Angélique RICHET, his wife 43 years. Nephew Etienne FOREST 30 years. Marie-Jeanne BILLERAY, François LE SOMMER's widow 27 years. 14 - Anne FOREST, Simon LEBLANC's widow 30 years. 15 - Jean Jacques THERIOT 55 years. Children: Geneviève 21 years, Marie 19 years, Jeanne 14 years, Rosalie 12 years, Marguerite 6 years. 16 - Ambroise DUPUIS 43 years, Anne THERIOT, his wife 40 years. 17 - Jacques FOREST 55 years, Marie COMEAUX, his wife 50 years. Marie FOREST 21 years (daughter of Victor et Anne Josephe HEBERT). 18 - Jean-Baptiste AUCOIN 27 years, Marie FOREST, his wife 20 years. Child: Marie-Jeanne (born February 13, 1785). 19 - Victor BOUDROT 55 years, Geneviève RICHARD, his wife 37 years. Children: Noël 9 years, Sophie 11 years, Anne Jeanne (born January 17, 1785). Children of Victor et Catherine HEBERT (1st spouse): Joseph 27 years, Marie-Rose 31 years, Cécile 15 years. François Pierre LE LORRE 30 years (Marie-Rose's husband). Marguerite PITRE 17 years (daughter of Geneviève and her 1st husband Simon PITRE). 20 - Barthélemy HENRY 41 years, Anne BOURG, his wife 39 years. Children: François 15 years, Jacques 12 years, Barthélemy 9 years, Marie 3 years. 21 - Michel AUCOIN 53 years, Isabelle HEBERT, his wife 48 years. Children: Jean 23 years, Michel 16 years, Pierre 14 years, François 11 years, Constant 2 years, Marie 21 years, Anne 19 years, Isabelle 13 years13, Floriane 4 years, Grégoire 18 years. 22 - Pierre AUCOIN 44 years, Hélène HEBERT, his wife 44 years. Children: Victoire 20 years, Anne 15 years, Jean 13 years, Françoise 11 years. (This family did not embark on the ship). 23 - Claude AUCOIN 57 years, Marie-Joseph SAULNIER, his wife 48 years. Children: Perpétue 22 years, Anastasie 17 years, Mathurin 13 years, Marie 12 years, Pierre 9 years. 24 - Charles AUCOIN 50 years, Magdeleine TRAHAN, his wife 48 years. Charles DAIGLE et Marie Blanche AUCOIN's child: Marie 24 years. Pascal HEBERT's widow: Françoise TRAHAN 38 years. 25 - Simon AUCOIN 53 years, Marie-Geneviève THERIOT, his wife 50 years. Children: Perpétue 24 years, Marguerite Geneviève 16 years, Anne Olive 12 years, Rose Félicité 11 years. 26 - Marin BOURG 45 years, Marie Osite DAIGLE, his wife 40 years. Children: Jean-Pierre 20 years, Marie-Luce 22 years, Marguerite Joseph 17 years, Marin Joseph 16 years, Rose Magdeleine 13 years, Pierre Jean-Baptiste 12 years, Marie-Françoise Magdeleine Joseph 10 years, François George 7 years, Guillaume Jean 4 years. 27 - Joseph HEBERT 45 years, Marie-Magdeleine AUCOIN, his wife 44 years. Children: Marie 17 years, Victoire 14 years. 28 - Claude GUEDRY 60 years, Anne MOYSE, his wife 54 years. Children: Marie 21 years, François 19 years, Suliac 17 years, Malo 15 years, Pierre 12 years, Olivier 8 years. 29 - Amant BOUDROT 52 years, Marie NOGUES, his wife 35 years. Children: Jean-Baptiste 15 years, François 14 years, Marie 6 years, Joseph 4 years, Hélène 8 months. 30 - Marguerite AUCOIN, Charles TRAHAN's widow 69 years. Children: Marie 47 years, Marguerite 40 years. 31 - Jean-Baptiste AUCOIN 66 years, Marguerite THERIOT, his wife- 57 years. Children: Marie 27 years, Jean-Baptiste 21 years, Pierre 11 years, Rose Magdeleine 19 years, Rose Anastasie 16 years. 32 - Jean PITRE 58 years, Félicité DAIGLE, his wife 55 years. Children: Charlotte Marie 20 years, Pierre 19 years, Jacques 18 years, François 17 years, Félicité 16 years, Marguerite 14 years. 33 - Joseph HEBERT (Son) 50 years, Marguerite DAIGLE, his wife 45 years. Children: Jean-Pierre (born February 21, 1785). Children of Joseph et Françoise Comeau (1st spouse): Pierre Jean 17 years, Marie-Joseph 18 years, Thérèse Anne 12 years. Marguerite DAIGLE's child (with deceased Honore RICHARD): Marguerite RICHARD 15 years. 34 - Pierre HENRY 51 years, Marie-Joseph BOURG, his wife 50 years. 35 - Jean HENRY 53 years, Marie PITRE, his wife 53 years. Children: Maximilien 24 years, Isabelle 21 years, Marguerite Rose 16 years. Jean's sister: Marie 55 years. 36 - Ambroise BOURG 53 years, Marie-Modeste MOULAISON, his wife 40 years. Children: Marie-Victoire 20 years, Modeste Aimée 18 years, Magdeleine 16 years, Julie Thérèse 14 years, Isabelle 12 years, Joseph 8 years, Pélagie 5 years, Modeste 3 years, Ambroise 1 year. 37 - Charles HENRY 49 years, Françoise HEBERT, his wife 47 years. Children: Charles 9 years, Françoise Victoire 15 years, Marguerite Toussainte 13 years. 38 - Pierre HENRY (Son) 28 years. His sisters: Françoise 23 years, Angélique 21 years. 39 - Simon COMEAUX 44 years, Marguerite AUCOIN, his wife 45 years. Children: Marie 21 years, Isabelle 19 years, Magdeleine 18 years, Félicité 16 years, Jean-Baptiste 14 years, Alexandre 11 years, Pierre 9 years, Joseph-Marie (born March 7, 1785). 40 - Ambroise LONGUESPEE 52 years, Marguerite HENRY, his wife 40 years. 41 - Anne THERIOT, Joseph GRANGER's widow 36 years. GRANGER children: Jeanne 8 years, Françoise Eulalie 7 years, Pierre Marie 3 years. Child of first marriage: Anne LANDRY 17 years. Children of Joseph GRANGER and Marie SIRE (his first wife): Joseph 20 years, Ignace 15 years. 42 - Joseph Ignace GAUDET 38 years. 43 - Charles HENRY 49 years, Marguerite THERIOT, his wife 50 years. Children: Jean-Baptiste 18 years, Marie-Joseph 22 years, Jeanne-Françoise 17 years. François THERIOT's widow: Françoise GUERIN 79 years and her daughter: Marie THERIOT 52 years. 44 - René LANDRY 53 years. Children: Marie 22 years, Servane 20 years, Jean-Raphaël 18 years, Marguerite 16 years, Anne 11 years, Pierre 9 years, Joseph 6 years, Jeanne 5 years. René's brother-in-law: Paul BABIN 52 years. 45 - Victoire DUGAS, Thomas AILLET's widow 38 years. AILLET children: Thomas 10 years, Louis 6 years. 46 - Anne-Joseph HENRY, Théodore THERIOT's widow 33 years. 47 - Charles PITRE 56 ans, Anne HENRY, his wife 52 years. Children: Joseph 19 years, Marguerite 15 years, Isabelle 11 years. 48 - Pierre ARCEMENT 52 years, Marie HEBERT, his wife 50 years. Children: Guillaume 13 years, Marguerite 24 years (did not embark), Marie 22 years, Victoire 18 years, Perrine 16 years, Julie 12 years, Françoise 9 years. 49 - Jacques MIUS d'ENTREMONT 29 years, Marie HERVE, his wife 30 years. Child: Jacques Ferdinand 1 year. Children of Marie et de Jean Louis LANGINAIS: Jean Louis 11 years, Marie-Jeanne 9 years, Angélique 7 years. Marguerite LANDRY, 56 years (Jacques MIUS d'ENTREMONT's widow. (Did not embark at St Malo, but rather in Nantes). 50 - Joseph MELANCON 68 years, Ursule HEBERT, his wife 72 years. 51 - Charles THIBODEAUX 63 years, Magdeleine HENRY, his wife 58 years. Children: Pierre-Charles and Jeanne-Tarsile (twins) 20 years, Marguerite 22 years, Hélène 18 years, Marie-Victoire 15 years. 52 - François-Xavier BOURG 44 years, Marguerite Pélagie HENRY, his wife 34 years. Children: Pierre 1 year, Anne-Victoire (born May 14, 1785). Children of François-Xavier et Elizabeth LEBLANC (1st marriage): Félix-Xavier 15 years, Joseph Faustin 11 years, Marie-Isabelle 8 years, Maximilien 6 years, Isabelle 4 years. Charles BOURG 46 years, Marguerite LEBLANC, his wife 40 years. 53 - François GALIEN 45 years, Henriette GROSSIN, his wife 36 years. Children: Marie-Jeanne 9 years, François-Julien 6 years, Bon 4 years, Julien-François 2 years. (This family did not embark). 54 - Jean-Baptiste THERIOT 39 years, Anne-Angélique BRIAND 42 years. 55 - Pierre-Jean EON, Priest. 1 - Jean GUSMAN - labourer 50 years, Rose BONNEVIE, his wife 42 years. Children: Jean-Thomas 2 years, Rosalie-Charlotte 21 years. 2 - Jean BROUSSARD - carpenter 40 years, Marguerite COMEAUX, his wife 32 years. 3 - Charles DOUCET - carpentyer 40 years. 4 - Jean DELAUNE - carpenter 48 years, Marianne PART, his wife 34 years. Children: Marie-Céleste (breast feeding), Pierre 7 years. 5 - Jean-Baptiste LEBLANC - shoe maker 44 years, Elisabeth AUCOIN, his wife 50 years. Niece: Marie-Marguerite SEMER 19 years. 6 - Marie MOÏSE, Olivier PITRE's widow - 45 years. Children: Louis Constant 10 years, Victoire 19 years, Françoise 14 years. 7 -Joseph AUCOIN - labourer 60 years, Magdeleine BOUDROT, his wife 58 years. 8 - Christophe DELAUNE - carpenter 34 years, Marie BOUDROT, his wife 30 years. Children: Jean-Baptiste 10 years, Louis-Auguste 1 year. Marie's sister: Céleste BOUDROT 20 years (not married). 9 - Jean-François de la MAZIERE - carpenter 37 years, Véronique RENAUD, his wife 37 years. Children: Jean-Baptiste 8 years, Louise-Céleste 6 years, Rose-Jeanne 4 years. 10 - Grégoire SEMER - shoe maker 16 years, Françoise SEMER, his sister 24 years. 11 - Colette RENAUD - René LETULLIER's widow 45 years. LETULLIER children: Jean-Charles - carpenter 19 years, Isidore 14 years, Adélaïde 16 years. 12 - François LANDRY - carpenter 60 years. Grand-children: Jean-Jacques 15 years, Bonne-Marie 16 years. Nephew: Jean-Charles - sailor 18 years. 13 - Zacharie BOUDROT - carpenter 60 years, Marguerite VALLOIS, his wife 50 years. Benjamin BOUDROT - calfat 19 years (Zacharie's son). Jacques DUBOIS, Marguerite VALLOIS and her first husband Olivier DUBOIS' son 19 years. 14 - Joseph BOUDROT - carpenter 40 years, Marguerite RICHARD, his wife 40 years. Children: Jean-Charles - sailor 18years, Joseph 9 years, Marie-Marthe 20 years, Sophie 3 years and Marie HEBERT (minor) 12 years. 15 - Charles BOUDROT - carpenter 21 years, Marie GAUTROT, his wife 19 years. 16 - Joseph SEMER - labourer 60 years. Children: Marie 25 years, Anne-Françoise 21 years. 17 - Jean-Charles HACHE - sailor 22 years, Marie PINET, his wife 20 years. Frédéric HACHE (his brother) - labourer 15 years, Marie-Bonne HACHE (his sister) 18 years. 18 - Ursule HEBERT, Jean VINCENT's widow 45 years. VINCENT children: Anne-Blanche 23 years, Marie-Blanche 17 years, Jeanne-Marguerite 12 years, Flore Adélaïde 11 years. 19- Pélagie BENOIT, widow ofYves CROCHET 44 years. CROCHET children: Jean - sailor 24 years, Yves - sailor 16 years, Julien 12 years, Françoise 22 years, Marguerite 19 years. 20 - Marie-Anne PRECIEUX 52 years. DOUCET (husband) children: François - labouere 14 years, Jean-Baptiste- driller 19 years. 21 - Charles PINET - labourer 54 years, Anne DUREL, his wife 50 years. Children: Marie-Magdeleine 14 years, Louis - sailor 22 years. 22 - Louis LAMOUREUX dit ROCHEFORT - sailor 44 years, Marie HEBERT, his wife 36 years. Children: Jean-Louis 20 years, Adélaïde 10 years. 23 - Marie-Josèphe RICHARD, François BASSET's widow 30 years. Child: Marie BASSET 5 years. Marie-Geneviève RICHARD, (Marie-Josèphe sister) 32 years. 24 - Louis GAUDET - carpenter 57 years, Marie HEBERT, his wife 54 years. Children: François-Louis 12 years, Magdeleine 28 years, Marguerite 20 years. 25 - Michel DOUCET - carpenter 45 years, Marie-Blanche COUSIN, his wife 37 years. Children: Jean-Baptiste Michel 12 years, Eléonore 15 years, Marguerite 9 years. 26 - Marguerite BENOIT- Joseph PRECIEUX' widow 32 years. 27 - Joseph DOUCET - labourer 53 years. Children: Ange 15 years, Marie-Marthe 19 years, Magdeleine 17 years. BOUDROT Children: Joseph - carpenter 19 years, Charles Michel - calfat 24 years, Etienne - sailor 18 years, Marguerite 16 years, Marie-Magdeleine 20 years. 29 - Alexis BRAUD - labourer 61 years, Marie GUILLOT, his wife 62 years. Nephew Fabien GUILLOT - sailor 23 years. Cousin Jean GAUTROT- sailor 22 years. 30 - Louis DANTIN - labourer 38 years, Hélène AUCOIN, his wife 37 years. Children: Jeanne 16 years, Marie 12 years, Anne 9 years, Julie 7years. Hélène AUCOIN's children: Françoise DOIRON 17 years, Marie DOIRON 12 years. 31 - Etienne HEBERT - sailor 38 years, Magdeleine BRAUD, his wife 36 years. Etienne & Marie-Josephe LAVERGNE's children: Louis 15 years, Guillaume 12 years, Gabriel 10 years, Cécile 18 years. 32 - Ambroise HEBERT - carpenter 39 years, Jean-Pierre HEBERT- carpenter Ambroise's brother), 38 years. Jean BERTRAND- sailor (his son) 20 years. Children: Jean - carpenter 19 years, Anne Eléonore 14 years, Marguerite 12 years, Marie-Anne Victoire 16 years, Rose 5 years. Magdeleine BLANCHARD (Anne's sister) 40 years. 35 - Jean-Charles BENOIT - sailor 36 years, Marie HACHE, his wife 34 years. Children: Jean-Marie 14 years, Paul Frédéric 9 years, François René 7 years, Sophie Renée 2 years. 36 - Etienne BOUDROT labourer 42 years, Marguerite THIBODEAUX, his wife 40 years. Children: Joseph - carpenter 19 years, Blaise 16 years, Yves (breast feeding), Etienne 5 years, Cécile 17 years, Anne 14 years, Marguerite 3 years. 37 - Anne OLIVIER; Jean-Baptiste HACHE's widow 56 years. Magdeleine Apolline HACHE, (daughter of his niece) 10 years. 38 - Jean THIBODEAUX- calfat 20 years, Marie-Rose DAMOUR, his wife 24 years. 39 - Isabelle BOUDROT; Olivier THIBODEAUX's widow 56 years. Sa fille : Marie THIBODEAUX - 17 ans. 40 - Ursule BRAUD; François PITRE's widow 45 years. Child: Ursule PITRE 22 years. 41 - Eustache BERTRAND - carpenter 49 years, Marguerite LANDRY, his wife 37 years. Children: Louis Martin (breast feeding), Magdeleine 19 years, Marie-Geneviève 11 years, Marie-Joseph 7 years. 42 - Charles GIROIR- calfat 56 years, Michelle PETRY, his wife 58 years. 43 - Athanase BOURG- sailor 45 years, Luce BRAUD, his wife 33 years. Children: Joseph 13 years, Charles 10 years. 44 - Marie DOUCET; Pierre MOULAISON son's widow 60 years. Child: Joseph MOULAISON - sailor 45 years. 45 - Magdeleine BLANCHARD; Charles BOURG's widow 48 years. Children: Charles 11 years, Joseph Florent 7 years. 46 - Ignace HAMONT - perreyeur 39 years, Anne Joseph BOURG, his wife 37 years. Children: Anne-Magdeleine 12 years, Marie-Modeste 10 years. 47 - Lucien BOURG - carpenter 21 years, Marie TRAHAN, his wife 25 years. 48 - Jean BOURG, shoe maker 25 years, Catherine VIAUD, his wife 33 years. Child: Catherine BOURG (breast feeding). 49 - Marin BOUDROT - shoe maker 53 years, Pélagie BARRILLOT, his wife 39 years. Children: Etienne 13 years, Marie (breast feeding). 50 - Joseph AUCOIN - sailor 33 years. 51 - Marguerite BOUDROT; Benjamin PITRE's widow 46 years. PITRE children: Etienne 7 years, Jean 4 years, Marie 23 years, Magdeleine 21 years, Cécile 15 years, Marguerite 14 years. 52 - Basile CHIASSON (Son) - Fils, cooper 36 years, Monique COMEAUX, his wife 38 years. Children: Charles 3 years, Louis (breast feeding), Adélaïde 11 years. 53 - Jean CHIASSON (Son) - carpenter 56 years, Anne JOANNE, his wife 40 years. Jean and Marguerite DUGAST's (second spouse)'s child: Joseph - shoe maker 19 years. 54 - Charles BLANCHARD - shoe maker 51 years. Children: Suliac - carpenter 20 years, Charles- sailor 16 years. 55 - Ambroise HEBERT - carpenter 54 years, Félicité LEJEUNE, his wife 45 years. Niece: Angélique GAUTROT 20 years. 56 - François BLANCHARD- labourer 54 years, Hélène GIROIR, his wife 43 years. Children: Joseph 10 years, Françoise 20 years, Marie 15 years, Marguerite 5 years. 57 - Françoise DOUCET; Louis HACHE's wife 46 years. HACHE child: Pierre 10 years. Children of Pierre HACHE (Louis' brother): Pierre 16 years, Joseph 10 years, Marie 19 years. 58 - Pierre LEBLANC- carpenter 49 years, Marie LANDRY, his wife 52 years. 59 - Honore DUON - carpenter 47 years, Anne TRAHAN, his wife 48 years. Children: Augustin- sailor 20 years, Jacques 17 years, Jean-Charles 13 years. 60 - Chrysostome TRAHAN- labourer 43 years, Anne GRANGER, his wife 41 years. Children: Jean-Chrysostome 10 years, Joseph 7 years, René (breast feeding), Anne-Julie 20 years, Marie-Magdeleine 18 years, Marthe 14 years, Marguerite 5 years. 61 - Jean METRA; (German) - labourer 46 years, Marguerite BOURG, his wife 52 years. 62 - Joseph BERNARD; (Prussian) - tailor 46 years, Jeanne RICHARD, his wife 40 years. Children: Martin 7 years, Marie 19 years, Anne 2 years. 63 - Benoît BLANCHARD- sailor 45 years, Magdeleine FOREST, his wife 43 years. Children: Joachim 16 years, Moise 3 years, Marie-Magdeleine 18 years, Marie-Benonie 13 years, Céleste 8 years, Anne 11 years. 64 - Marie LEBLANC; Jean DAIGLE's wife years. Children DAIGLE: Marie 1 year, Marguerite (breast feeding). 65 - Olivier BOUDROT - labourer 74 years, Anne DUGAS, his wife 56 years. Children: Jean - labourer 17 years, Marie 18 years. 66 - Marie-Joseph THERIOT; Honoré GIROIR's widow 65 years. GIROIR children: Eudoze 38 years, Marie-Rose 23 years. 67 - Joseph BRAUD - sailor 30 years, Marguerite TEMPLE, his wife 32 years. Children: Joseph 9 years, Eulalie (breast feeding). 68 - Jean FOUQUET- labourer 52 years, Marguerite KIMINE, his wife 50 years. Children: Marie-Charlotte 15 years, Jeanne-Magdeleine (her daughter) 11 years. 69 - Marie GAUTROT 20 years, Magdeleine GAUTROT, her sister 18 years. 70 - Marie-Henriette POITIER; Jean-Baptiste RASSICOT's widow 46 years. RASSICOT children: Jean-François- sailor 20 years, Anne-Marguerite 17 years, Marie-Henriette 15 years. 71 - Elizabeth DUON; Alexandre AUCOIN's widow 43 years. AUCOIN children: Anne-Marie 24 years, Geneviève 20 years, Marie-Magdeleine 17 years, Marie-Félicitée 15 years, Elisabeth 13 years, Anne-Augustine 11 years, Marie-Reine 6 years. 72 - Anastasie LEVRON; Amand LEJEUNE's widow 45 years. LEJEUNE children: Joseph- sailor 22 years, Alexis 13 years, Marie-Rose 18 years, Marguerite 16 years, Adélaïde 6 years, Rosalie (breast feeding). 73 - Ignace BOUDROT - carpenter 36 years, Anne PIERSON, his wife 26 years. 74 - Jean-Paul TRAHAN - sailor 16 years. 75 - Nicolas ALBERT - carpenter 45 years, Marie-Marthe BENOIT, his wife 40 years. 76 - Pierre LAURENTY; (German) - arquebusier 41 years, Marie VIDET, his wife 42 years. Child: Pierre - shoe maker 17 years. 77 - Pierre-Joseph JACQUES; (German) - carpenter 45 years, Anne DRAPEAU, his wife 41 years. Children: Joseph 15 years, Jean 10 years, Anne 20 years, Victoire 17 years, Marie 2 years. 78 - Joseph PITRE - carpenter 22 years, Marie HEBERT 17 years; Joseph HEBERT (her brother) 15 years. Children: Pierre 1 year, Marie-Céleste (breast feeding). 2 - Christophe DELAUNE - ship builder 34 years, Marie BOUDROT, his wife 30 years. Children: Jean-Baptiste 10 ans, Louis Auguste 2 years. Céleste BOUDROT: Marie's sister 20 years. 3 - Louis LAMOUREUX dit ROCHEFORT - sailor 44 years, Marie HEBERT, his wife 36 years. Children: Jean-Louis - sailor 20 years, Adélaïde 10 years. 4 - Louis GODET - carpenter 57 years, Marie HEBERT, his wife 54 years. 5 - Michel DOUCET - carpentier 45 years, Marie-Blanche COUSIN, his wife 37 years. Children: Jean-Baptiste 12 years, Eléonore DOUCET 15 years, Marguerite 9 years. 6 - Joseph DOUCET - labourer 53 years. Joseph & Marguerite MOLAISON'S children: Ange 15 years, Marie-Marguerite 19 years, Magdeleine 17 years. 7 - Olivier BOUDROT - labourer 74 years, Anne DUGAST, his wife 52 years. Children: Jean 17 years, Marie 18 years. 8 - Ambroise HEBERT - supervisor 54 years, Félicité LEJEUNE, his wife 45 years. Niece Angélique GAUTROT 20 years. (Daughter of Jean-Baptiste GAUTREAUX & Anne LEJEUNE). 9 - Charles BLANCHARD - shoe maker 51 years. Children: Suliac - carpenter 20 years, Charles - sailor 16 years. 10 - Basile CHIASSON (Son); tonnelier 36 years, Monique COMMEAU 38 years. Children: Charles 3 years, Adélaïde 11 years. 11 - Nicolas ALBERT - carpenter 45 years, Marie-Marthe BENOIT, his wife 40 years. 12 - Ignace BOUDROT - carpenter 36 years, Anne PIERSON (Son), his wife 26 years. Leur fils : Charles - 2 ans. 13 - Martin PITRE - carpenter 22 years, (son of Paul Hypolite et Marguerite Louise VALET). Joseph HEBERT (step-brother) 15 years , Marie HEBERT (step-sister) 17 years. 14 - Claude Louis LEGAGNEUR - labourer 50 years, Marie-Josèphe HALLIER, his wife 50 years. 15 - Joseph THERIOT - sailor 27 years. (Marie-Anastasie AUCOIN'S husband; left on 'La Bergère' ship (N° 18). 16 - Jean Baptiste DOIRON - sailor 25 years. 17 - Joseph BOUDROT - sailor 22 years, Julienne MOINE, his wife 20 years. 18 - Charles GAUTROT - labourer 49 years, Marie-Magdeleine MELANCON, his wife 49 years. Children: François-Marie 14 years, Rosalie 5 years. 19 - Pierre MONTET - labourer 22 years. His sisters: Françoise 19 years, Marguerite 10 years. 20 - Joseph DUON - labourer 19 years. 21 - Claude-Marie LEBLANC - labourer 20 years. 22 - Basile-Marie RICHARD - labourer. 23 - Marie BOUDROT; Charles THERIOT's widow 40 years. 24 - Jean-Charles BENOIT - sailor 36 years. Etienne François ANGILBERT- printer 32 years, Félicité HEBERT, his wife 28 years. Child: Marie-Adélaïde (breast feeding) born June 16, 1785 at Nantes. I am very grateful to my friend, Daniel Burgot of France, for having provided me his approval to translate the above-noted information on my web site. Connect to http://daniel.burgot.perso.neuf.fr/html/nantes/navires.htm to visit Daniel's informative web site. Click Here to View Other Myths. 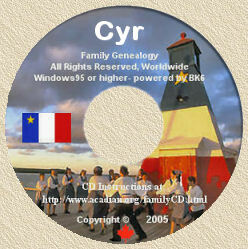 Click here for more Acadians ship information.